I am totally excited about you stopping by the CrossEyedLife. I am the pastor of a multisite church that currently has six campuses in five cities and a couple of partner churches throughout the state of Kansas (church website). I get to preach all the time and have so many of my messages reproduced on video that I wanted to get back to the basics for me and write out a few thoughts. Before I was in ministry I have a background in journalism and reporting. I have really missed this, so, this blog is a joy for me. While I love pastoring and leading this ever-growing organization, my favorite job in the world is being a family man. I have a beautiful wife of more than 16 years named Kathy and two awesome boys named Noah and Nathan.We all love Jesus, camping, the Dallas Mavericks and anything that goes good with ranch dressing. Family is a priority for me, and not just in word but indeed. You’ll see that echoed in the articles on this blog, and I challenge you, if you know who I am, to hold me accountable to that statement. I’d rather write a really cruddy blog and raise great children, I’d rather pastor a tiny diminishing church and have a loving adoring wife, I’d rather give up on career than sacrifice my family on the altar of ministry. They say that a good preacher will only offer about 10 to 20% of what they actually know. I agree, preachers need to talk less, and I be one of them! So an outlet for the other 80 to 90% of what I have prayed through, studied and journaled will often come spilling out through the pages of this blog. I hope you will enjoy some of the theological questions that are posed, the practical spiritual steps suggested and some of the gradeschool humor that I still think is funnier than anything else! My wife says I’m 11, but I prefer nine. 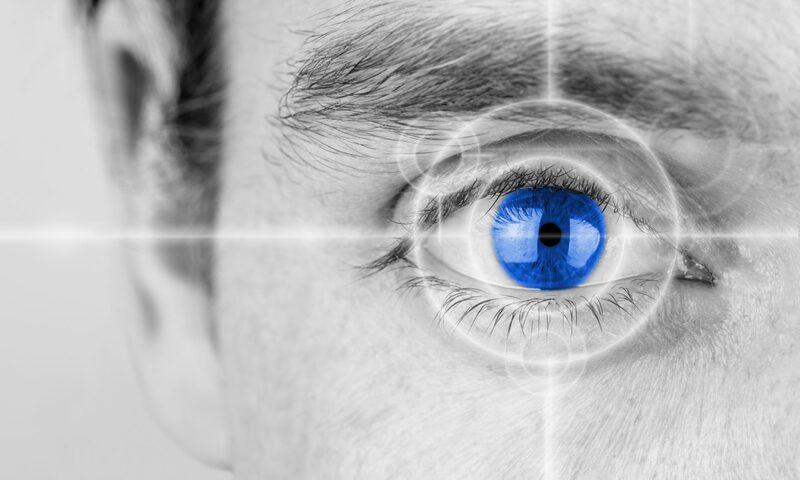 The very title of the blog indicates that my goal for myself and all our readers is that the cross of Jesus Christ would be the focus of our eyes, the change agent of our lives, and the purpose for all that we strive. Cool, that kind of rhymed… I’ll bet I could fit that in sermon. I post new articles at least weekly, sometimes as full written content and other times as a video usually shot from the end of my iPhone. We won’t solve any of the world’s problems, but we can scratch the itch on some of the deeper religious questions that seekers and new believers have. I want this blog to be not just a place of information, but discussion. That’s why I allow open comments on every single article. I hope you’ll join the discussion! I really really want to encourage you to not just read this book today, but click to the button to the side and subscribe to the regular feed. Of course there is no cost, and you make me feel special… isn’t that alone worth the time and effort? Finally, I hope you’ll join me in the social revolution as well add me as a friend on Facebook and/or follow me on twitter and we could be cyber buddies! I hope you spend a lot of time here, and I hope you’ll invite some friends and family to check it out as well. 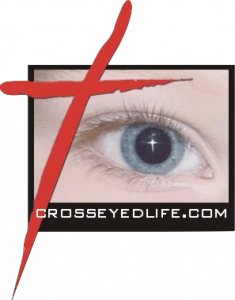 Please don’t hesitate to get in touch, I would love to know more about the readers who are part of the CrossEyedLife community. 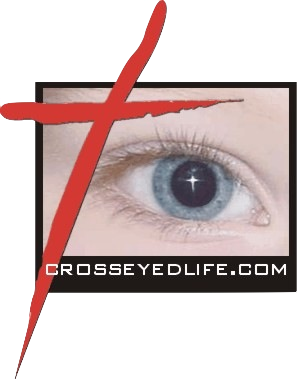 My e-mail is Andy@crosseyedlife.com. Hope to hear from you soon and many blessings. Andy Addis is a communicator for the 21st Century. Using humor, story-telling and real depth of teaching Andy has become a popular speaker throughout the South, West and Midwest. Andy has spoken motivationally for Wal-Mart, Blue Cross Blue Shield, Law Enforcement Services, Fire and Emergency Organizations, Schools from grade school to high school to university and for countless small business gatherings. During the last decade Andy has spoken and lead conferences like Super Summer Youth Camps, Fellowship of Christian Athletes events (Weekend of Champions, Game Day, and Coach’s Camp), Christian Challenge College Conferences, church revivals, men’s gatherings/retreats, Christian leadership/pastoral training events and a variety of one-day speaking opportunities. As Andy’s speaking ministry grew he founded a ministry team called 180 Degrees. Andy is also pastor of a thriving congregation in Hutchinson, Kansas. In 8 years that church has grown from 120 to more than 1,900 and added 5 satellite campuses in Hutchinson, Sterling, Great Bend, Salina and Hays (all in Kansas).